Teaching: Teaching responsibilities are multifaceted and include instruction of students in undergraduate, veterinary, graduate, and interdisciplinary curricula and continuing education for veterinarians and allied specialty groups. High quality teaching by a competent faculty must be available to all eligible persons and supported by appropriate equipment, facilities, and services. The College of Veterinary Medicine constantly seeks ways to improve the quality of its instruction, and periodically reviews its programs, evaluates its faculty, and encourages and rewards excellence in teaching. Research: The College of Veterinary Medicine strives for quality in basic and applied research in the biomedical, veterinary, and agricultural fields. Research is necessary for the improvement of health care and the quality of life. Excellence in research, besides serving mankind, is a cornerstone upon which a national and international scientific reputation can be built. Research excellence is not easily achieved and once attained must be constantly nurtured. Continual effort must be expended to achieve and maintain research excellence, a condition reflecting the intent and quality of the faculty. The College of Veterinary Medicine constantly strives to recruit, retain, and reward highly productive research scientists. 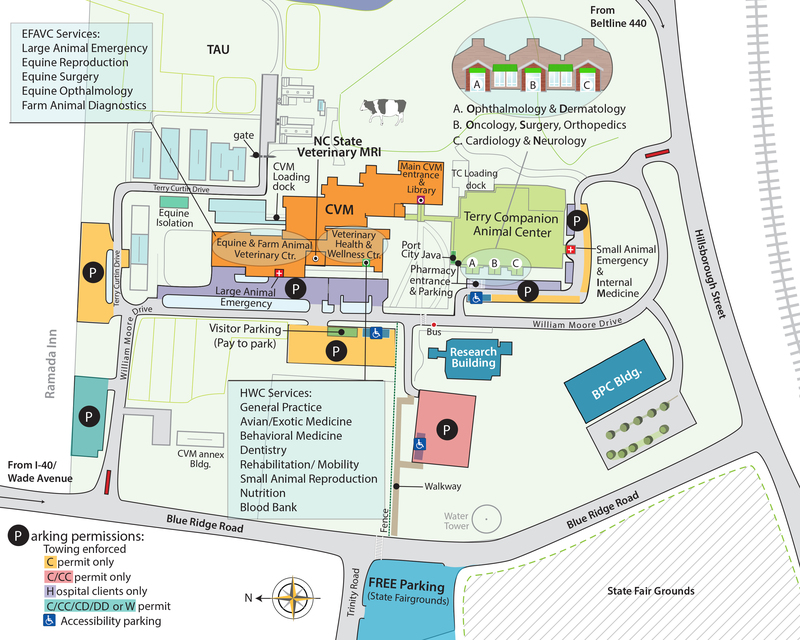 Continuing Education and Public Service: The College of Veterinary Medicine provides important services to the people of North Carolina, such as operating a veterinary hospital, a farm service clinic, and a client consultation service; and it develops many informational programs in continuing education and public service. Public service should be viewed as an obligatory responsibility of the veterinary faculty. Not only does it benefit animal owners but also the faculty members who are exposed to naturally occurring disease problems that stimulate their teaching and research. 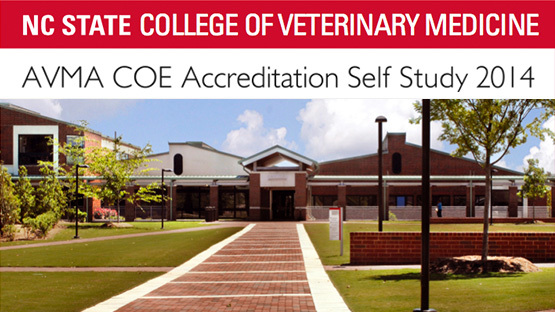 The College of Veterinary Medicine (CVM) at North Carolina State University (NC State) graduated its first class of veterinary students in 1985, and by 2011 achieved a third place ranking amongst American veterinary colleges according to U.S. News and World Report. Throughout its history, the College’s success has depended on the strength and accomplishments of its faculty, students and staff. The College also enjoys unique advantages as a part of a leading land grant institution at NC State, and the close proximity of two world-class research universities – Duke University and University of North Carolina at Chapel Hill (UNC-CH). View and download a PDF of the 2014 College Self Study for the AVMA.